There’s no other way to put it. Dogs are one of the greatest entities this universe has ever created. The fact that they’re on this planet and they want to love us for the sake of just wanting to love us is a remarkable gift. 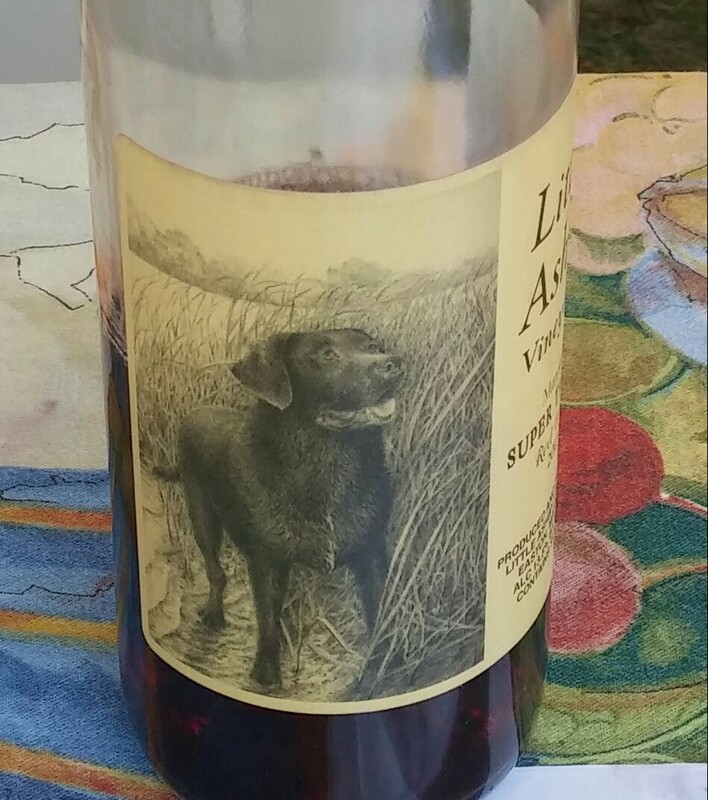 And when you can combine the love of dogs, create beautiful labels, and place them on wine bottles, well that’s just icing on the top. 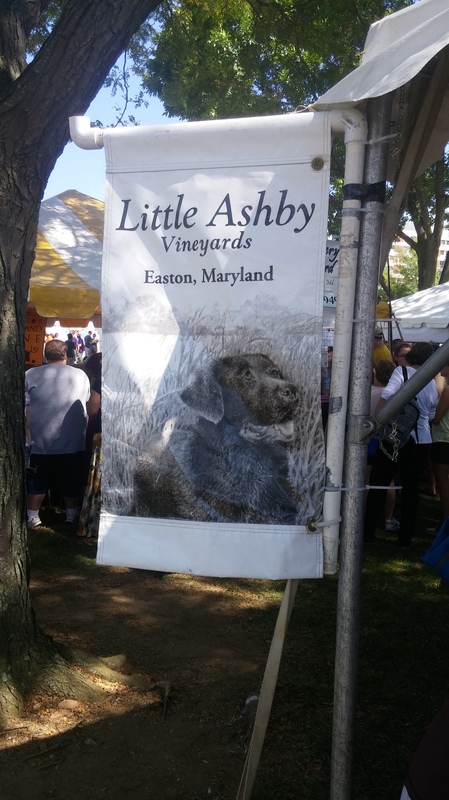 Little Ashby of Easton, MD has merged both into one of the most memorable tasting experiences I’ve ever had. 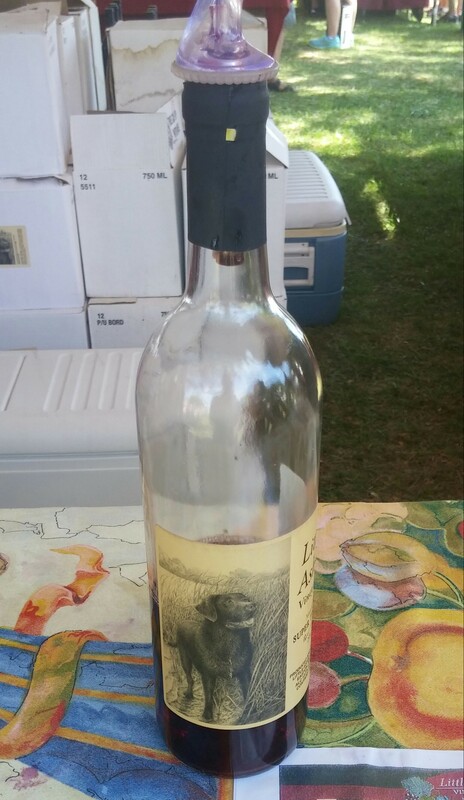 The setting is back at The Maryland Wine Festival and this was one of the wineries I was looking forward to visit the most. I’ve never had the privilege of sampling their bottles until now. I’ve been to a multitude of festivals and events, and either never got a chance or they were not in attendance. This was well worth the wait. Because the visuals of happy dogs are all ubiquitous, I was hoping these wines would taste better than usual. At worst, I was hoping they would at least taste good. They succeeded and then some. For me, at least, when I’m in a happy place, beverages tend to go down smoother and food tastes that much better. This was arguably the happiest I was at the festival. So how were the wines? In short but sweet fashion, I got to taste 4. And with all the commotion of the festival, it’s plausible that was the perfect amount for any of the visiting wineries. I’ll go in order of the descriptions. 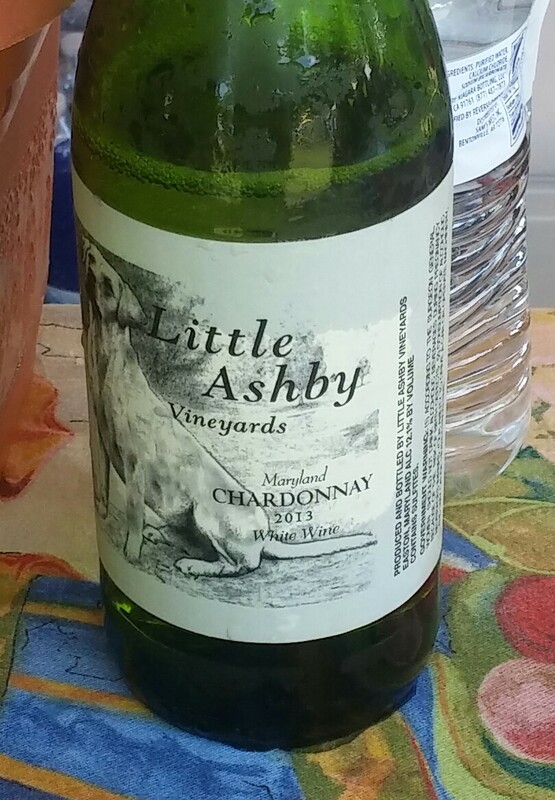 The 2013 Chardonnay was so easy to drink. It was very light and deceptively going down to quickly. I had to be careful as this event was a marathon, not a sprint. It was a beautiful day so drinking this was even that much smoother. And at $15, that’s a more than reasonable price for this bottle. I wouldn’t actively seek it out, but then again look at that label! 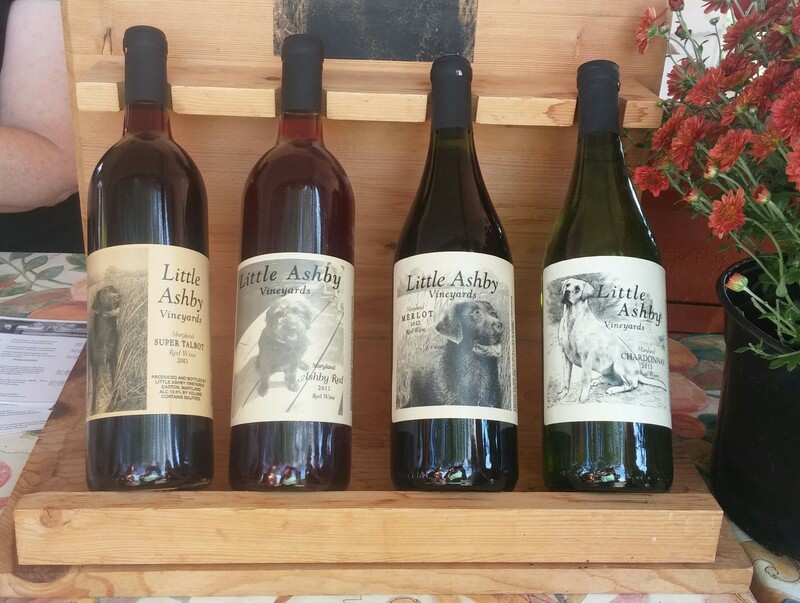 The 2011 Ashby Red was something special. I have sung the praises of Cab Franc. And I’ll continue to do so until the end of the time. You merge that with Merlot and you have something very special. The synopsis describes this was earthy. That actually does apply here. For me, earthy has usually tasted like pine trees or green grass. I did get some of that here. Maybe I let my imagination run wild. It’s a flavor many don’t care for but I love it. A fantastic finish to a fantastic wine. I would pay $22 for this. Licorice? Didn’t catch that. Oh and how about that adorable looking pup on the front? Yay! Merlot is becoming more and more apart of my regular wine tastings and at home. A year or so ago I would avoid this grape like the plague. Now I appreciate it and it’s grown on me. This one definitely had the scents and flavors of berries and chocolate. This will be perfect for the fall and as we approach those holidays that are too soon to talk about. $20 seems justified for this selection. 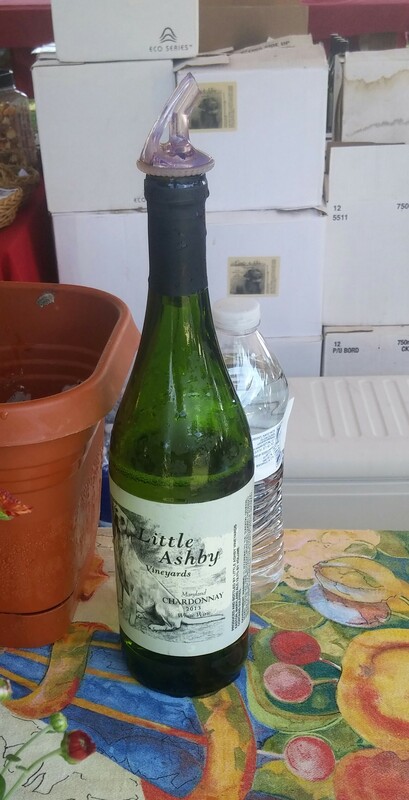 This 2011 bottle and the Ashby Red are definitely special occasion wines. And the label had a labrador retriever on it. How can you go wrong with that? They’re my favorite breed of dog! I went crazy and spent an extra $1 for the Super Talbot. This is a homegrown Maryland special. This one had some power to it, for a medium-bodied wine. I tend to overreact when I find a wine I love. I make this cheesy look and I tend to sway. I may fall forward too. But I also get this grin on my face, feeling my day has been made. I could say that about this wine, along with the Merlot and Ashby Red. Maybe it’s the sentimentality of seeing mans best bud on the front. How can you go wrong? 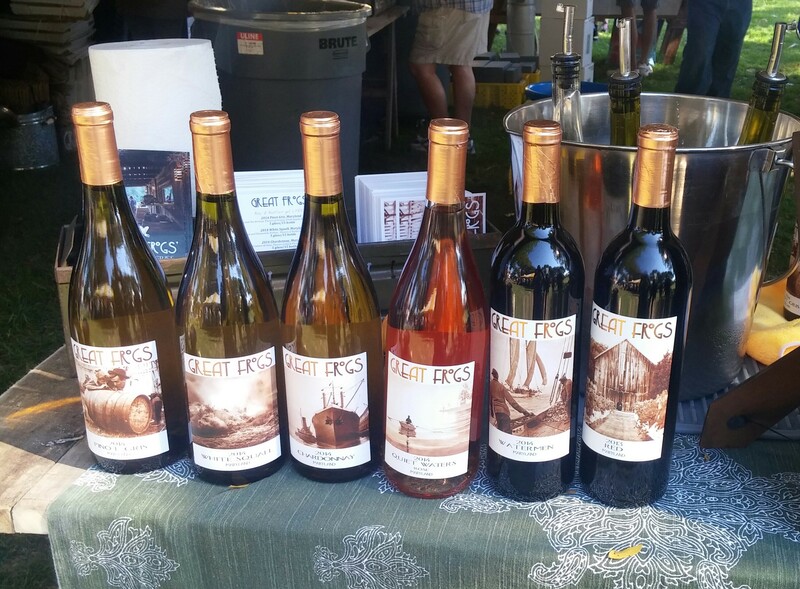 They’re the first licensed winery on the Eastern Shore of Maryland and production began in the year 2000. So they’re relatively new but doing everything right. The staff was so nice and so attentive. The only thing left is to make a visit, which is by appointment only. I was in Easton around December of last year and completely snoozed on visiting them. This is just extra motivation. They don’t have a website or any way to be contacted via social media, which is actually adding to the intrigue and mystique. I like it. 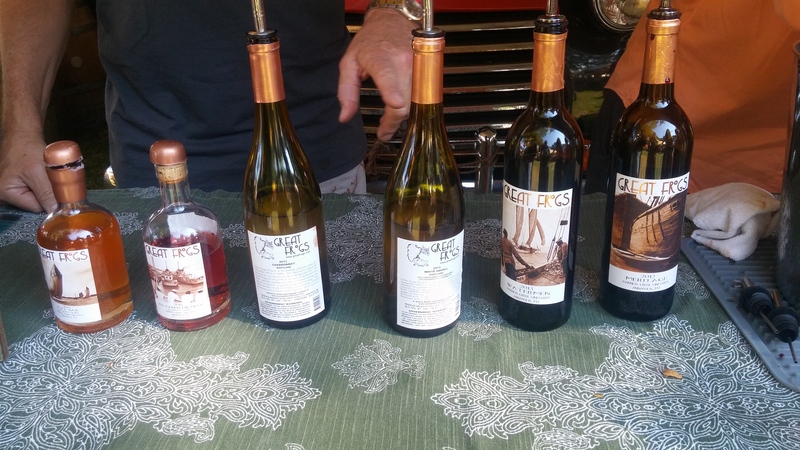 More from the MD Wine Festival is coming, but this visit along with last weeks post are going to be hard to top. For more awesome dogs click here. 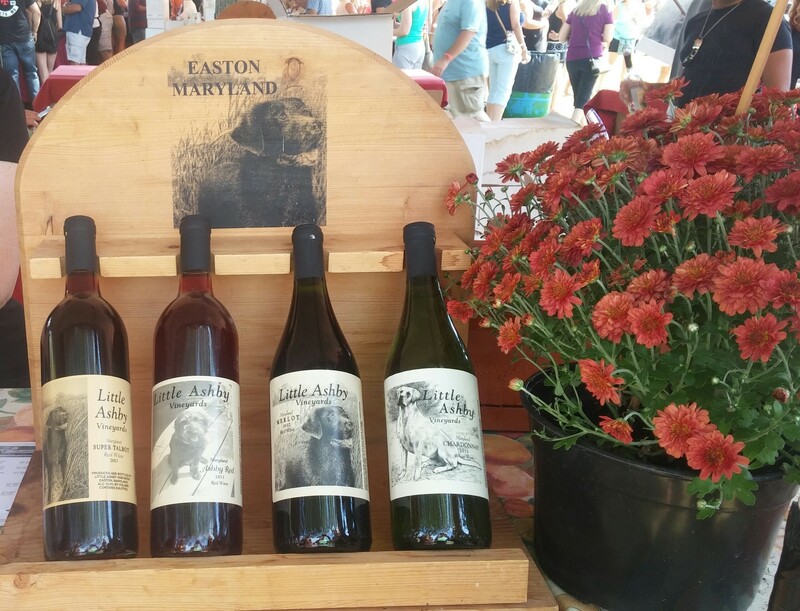 And for more on Eastern Shore wines, you can check this link out. 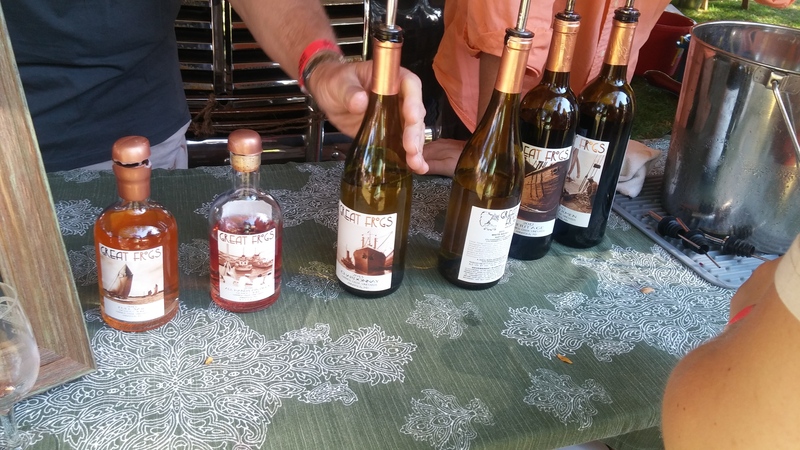 The Maryland Wine Festival took place this past weekend and there was no way I was missing this. I have months worth of material to write about and I will attempt to space it out accordingly. 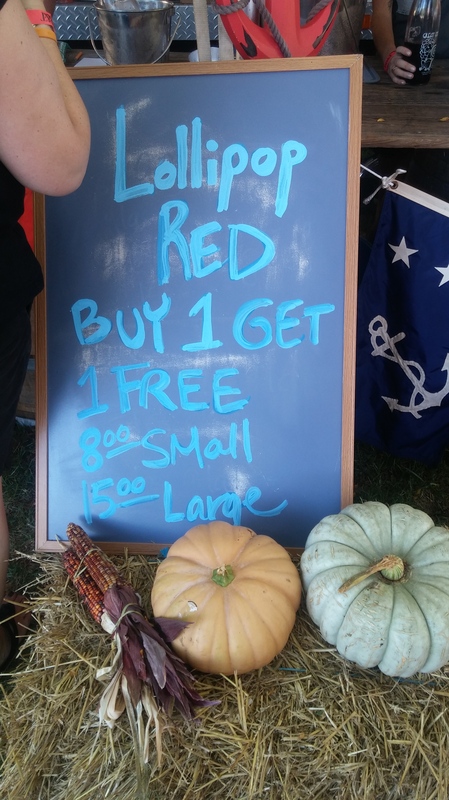 It’s also possible I’ll just give you a half-dozen posts in a row of the best and worst that Maryland Wineries have to offer! This post will be about the former. 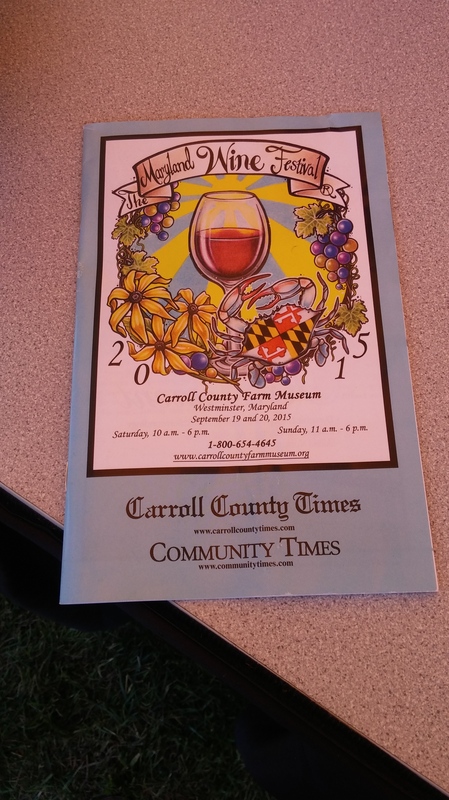 The site was the visually stunning Carroll County Farm Museum. And for many this is the one time a year they visit Westminster. In addition, this is the one time a year I get to meet up with certain friends, either because our schedules are conflicting, friends are busy raising a new family, or the near distance of an hour is too much for some. I love the drive and find myself in the area at least several times a year. 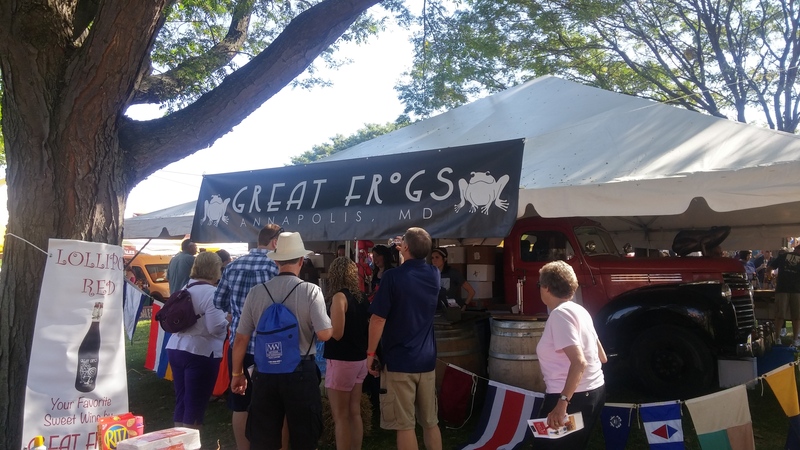 I got to the festival at opening time so I can could beat some of the crowd and get all the tasting and note-taking in that I could.Fortunately, it was never a struggle to do a tasting any time of the day and the weather was dazzling and awe-inspiring. 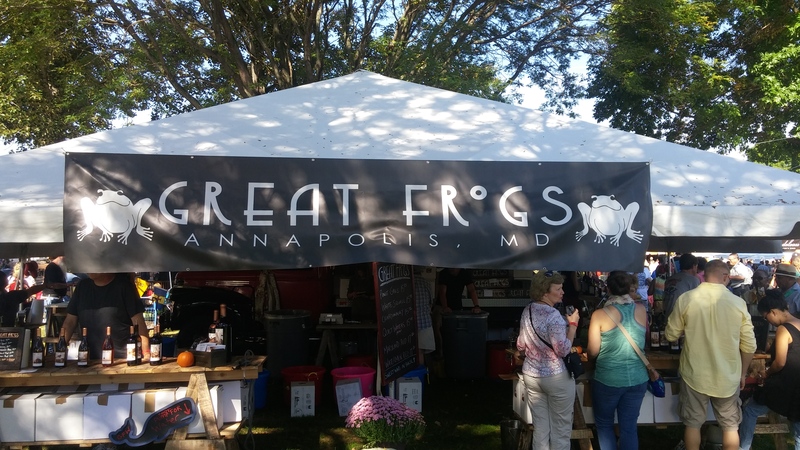 I got in, grabbed my tasting glass, and if I’m going to attempt to go by chronological order, got to my first winery, Great Frogs of Annapolis, MD. I’ll give a brief back story on this place. A little over a year ago, I dropped someone off in a remote and beautiful part of our state capital. I didn’t know these homes and this area existed but, the houses looked like they were in the millions and right next door to where I sat, was Great Frogs Winery with perfectly cut grass and bushes. I had never heard or seen of them until this day. It looked so intimidating. I almost felt like I didn’t belong in the area and that someone would ask me to leave momentarily. The signs read that the visits were by appointment only. I was intimidated but that was all my creation. If i had only known now what I had known the, there would be pictures and I could show you what a thing of beauty this was, from the outside looking in. 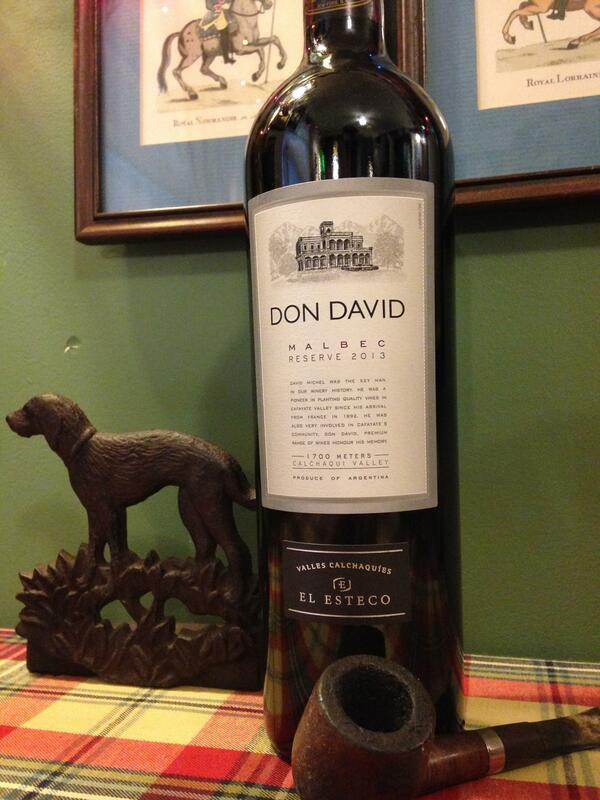 I had been hoping that one day I would get to try their wines, as the enigma I created intrigued me. And the universe looked out for me. The staff and volunteers pouring the wine were all so friendly and were happy to ask any questions I may have had. They also loved that I was taking so many photos. I think I explained to a few wineries that I write about this beautiful subject. The wines itself and the labels are very charming. They range in price from $15 to $40 so some of these can get a bit pricey and not within many people’s budget. 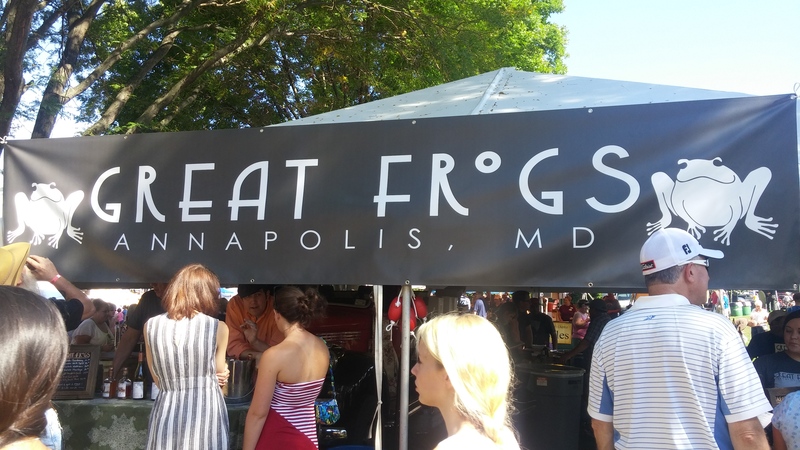 That’s the fun of these festivals and tastings. We can at least get to try some new wines and even if we’re not in a position to buy today. We now have a lasting memory and can always purchase at a later time. 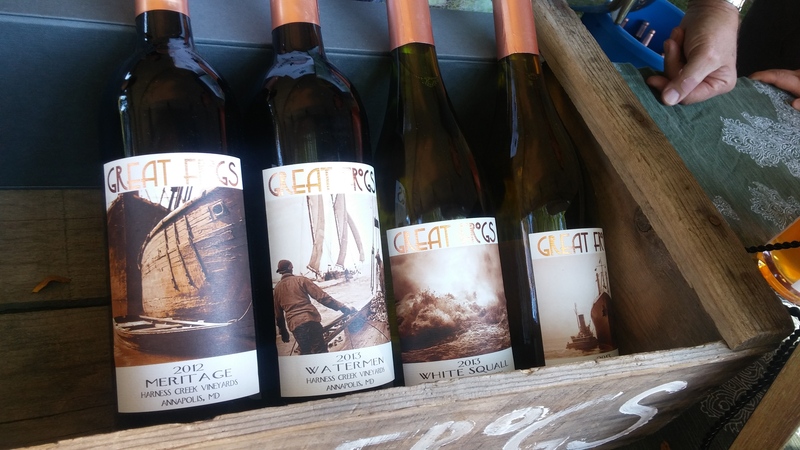 My favorites were the 2012 Watermen and the 2012 Meritage. Yes, off the top I went with the dry reds and they were the perfect start to a warm and beautiful Summer event. 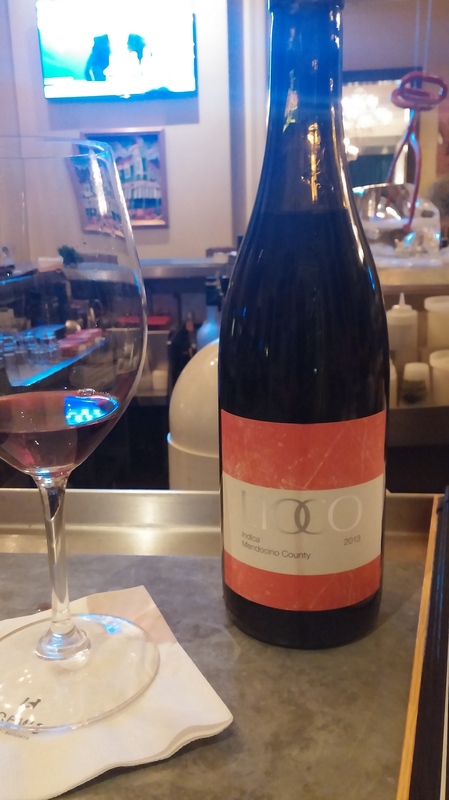 The descriptions are listed in the links above but to me they both represent the greatness of Maryland wines. The former contains Cabernet Franc, along with Merlot, Syrah, and Cabernet Sauvignon, but the Cab Franc is really what makes this awesome. Call it local sentimentality or just what I like. But this was fantastic, albeit a little pricey for me now. I would love to grab this and hold onto it for a very special event or party down the line. Lots of oak and different fruits were detected to make this my kind of wine. There was a summer into fall feel to this one. The Meritage is Half-Merlot and Half-Cab Sauv and just as awesome. I could taste a mix of chocolate, vanilla, and some more oak. Once again, not at my price point, just yet, but still wonderful nevertheless. The Lollipop Red was a huge favorite to many, but that wasn’t for me on this day. I thought it was ok, but I wasn’t in the mood for anything too sweet. 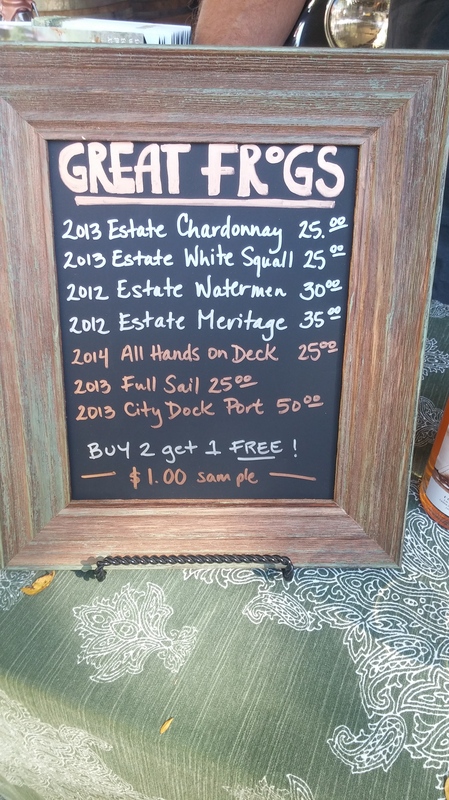 I also got to try 2013 Chardonnay and White Squall. These were both a joy and so easy to drink. I could enjoy either with a meal or with nothing. One marvelous detail to both of these is that they were both 100% grown on the estate. So you’re getting the full local experience at the palm of your hands. I didn’t get the opportunity to try the $1.00 premium samples. All the more reason to make a visit! I’m pretty sure I tried others but there were so many throughout the day to get into all. I’ll try to be as concise and approachable as I could with these experiences, and will continue to do so in the weeks ahead. And speaking of approachable, this is exactly what this winery was on this day. I am so compelled to make a visit. And any reason to get back to Annapolis is a great one! They have a dog here too! Yes! For more on the winemakers you can click here. And here’s their FAQ. Their online store can be found here. And for our pals local to the area, here are stores that carry it and restaurants that serve it. Finally, a little more on the vineyard itself. I cannot wait to make a visit! I wish I had written about this entry sooner. 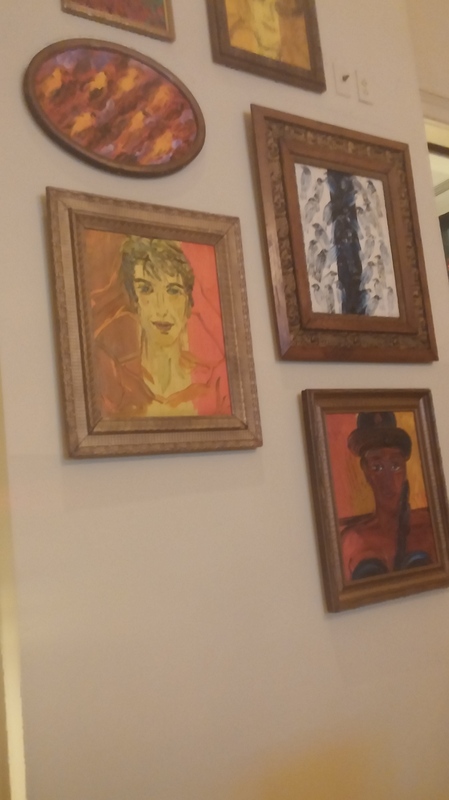 I made my first ever visit to New Orleans back in June of this year. And I got to experience so much in such little time, that I almost freaked myself out. There was so much to see, so much to eat, and yes so much wine to enjoy. I wanted to space out these posts so I can try to appreciate these moments even more. 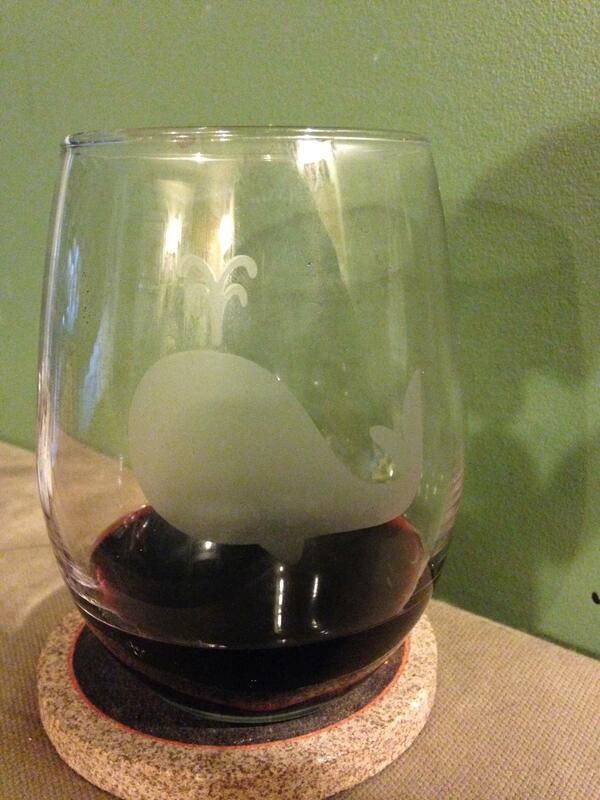 For my previous NOLA wine post, you can click here. 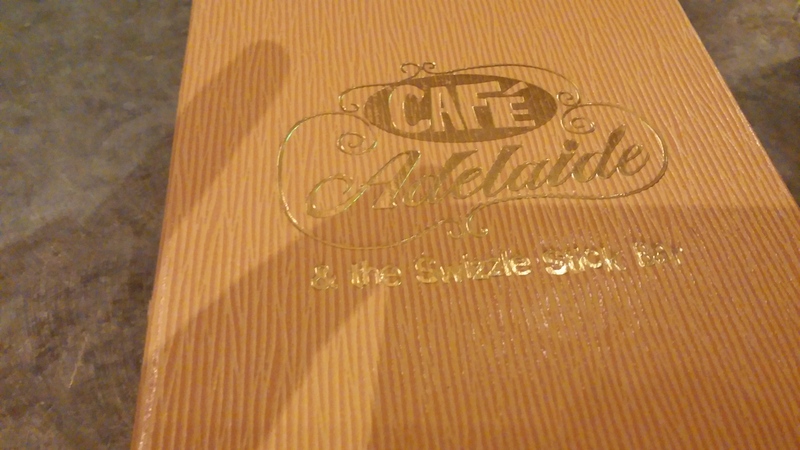 On my final night I met up with a friend and per their suggestion we met up at Cafe Adelaide & the Swizzle Stick Bar, which is located inside the luxurious Loews Hotel. I was grateful that I got to see a friend I hadn’t seen in a few years but our time was limited. No food was ordered but wine was on the mind. And I perused the menu and saw quite an extensive list. Seriously, this list is nuts! I kept scrolling and scrolling! This is a wine lovers dream. I would add to my knowledge base if I hung out here regularly. 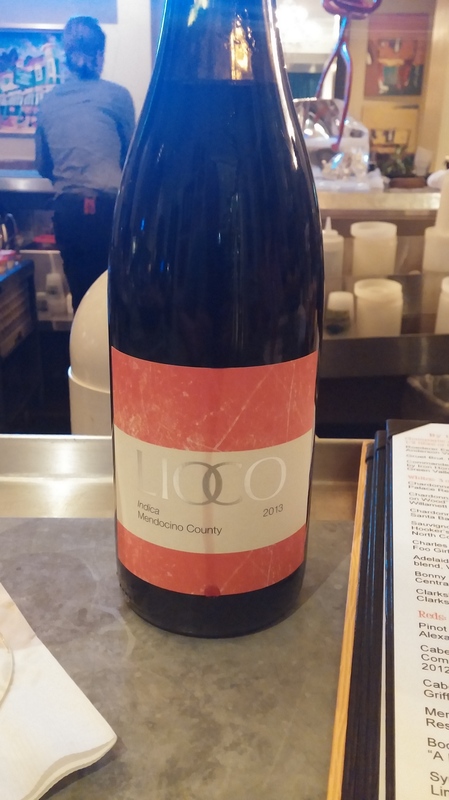 No bottles on this day but I did settle on the 2012 LIOCO “Indica”, Old Vine Carignan/Petite Sirah. Only by mistake (or maybe not) they poured me the 2013. That’s not even a quibble, but only an observation. And at the time I was so oblivious to the fact that it doesn’t really matter. I only recall this when going through my notes. Speaking of which, sometimes notes are helpful in referencing flavors and the like, but overall I don’t it can come close to telling the whole story. This wine could have tasted pitiful and I wouldn’t have cared. Honestly, I was in a wonderful city that I had always wanted to visit. And perception is key. I was in such a happy place that nothing was going to bring me down. I was on vacation and I’m going to find the positives in everything. The positives for this wine were easy. This was not the aforementioned Carignan/Petite Sirah from 2012. But we move ahead one year. And I can’t pretend otherwise. 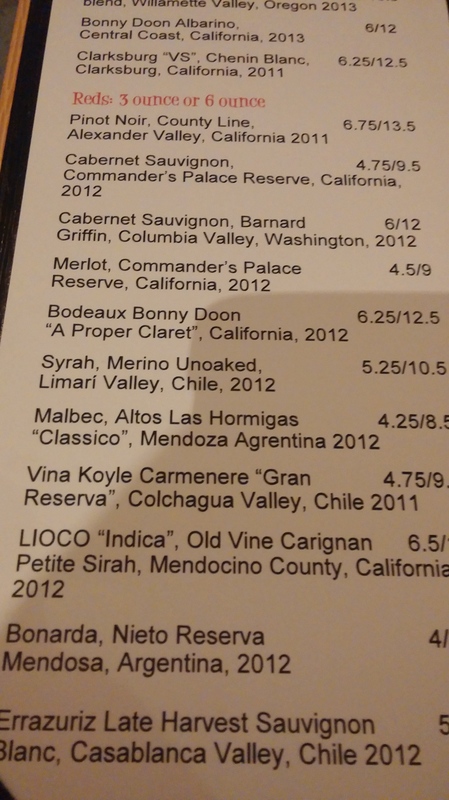 I’d never heard of Carignan until that day. 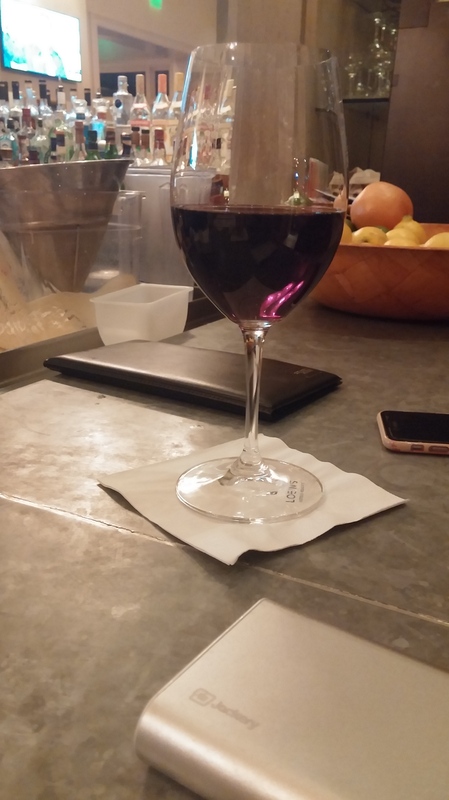 The bartender was helpful in explaining the details of that grape, that have since escaped my memory. There was no Petite Sirah with this on for 2013. Now I wish I had those notes. It’s perhaps never been in a wine I had before or had since, but in this instance (or many others) does it really matter? I’ve never noticed this or any of their bottles sold in stores near me or when I visit, but if you’re interested in purchasing any, here is the link. The wine tasted light. I seem to recall some cherries and it did have that jammy connotation. There’s a term that has been thrown around many a time but does apply here. It had some oak, tannins, and all the stuff that makes me love wine. And how about that color? We have a purplish and violet look here. I find that delightful. But most importantly I love wine because of how it makes me feel and the company I get to share it with. And I got to enjoy it in one of my favorite cities in the world. The staff was great and the bartender was awesome enough to let me take a picture of the bottle in case I ever got to this point! And yes! I included a few photos from this fantastic night. How short and sweet it was. I can’t wait to come back to this bar and this city. Sometimes you just need a great dinner with friends to get the week going. And when that means a good steak, of course you need to pair with it something stellar. Considering the dinner party host, I knew the food was going to be good. So my hope was to find a bottle that would complement a hearty meat and vegetable dish. 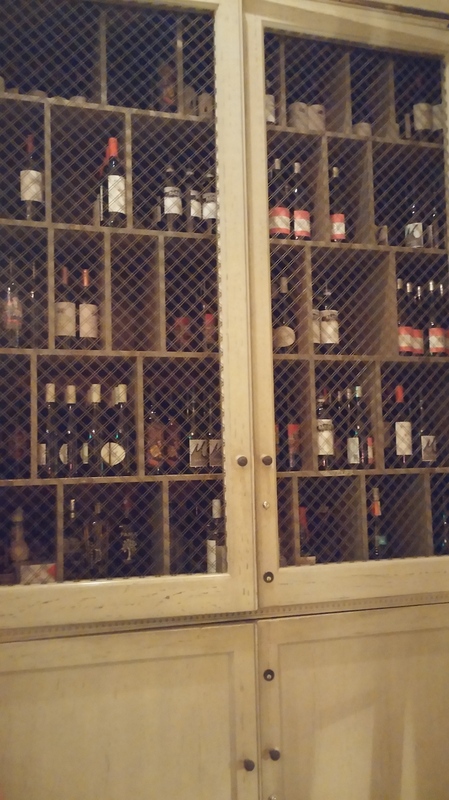 My search led me back to Wine World and its massive collection of everything. The staff here is tremendous. They know right away when anyone as a question, and is always quick to give a great suggestion or two, or more! The question about a selecting a wine with a hearty meat, has been going on forever. And while I have a few grapes in mind, I love hearing other people’s opinions. They pointed out some new ones to me the ranged from $16 to upwards of $40. Now like most folks, the preference is to go the lower end of the spectrum. 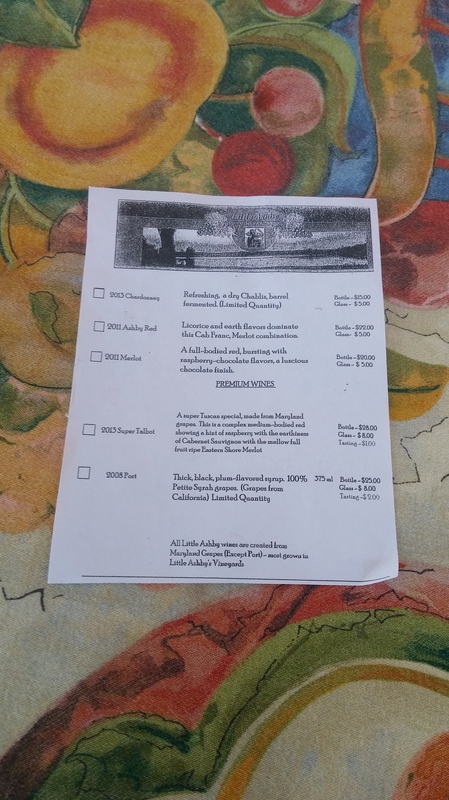 I got assistance from one more team member, and they suggested a brand I forgot about, Casillero del Diablo, distributed to the United States from Excelsior Wines. I surmise that many of us have had a bottle of two of theirs without realizing it. 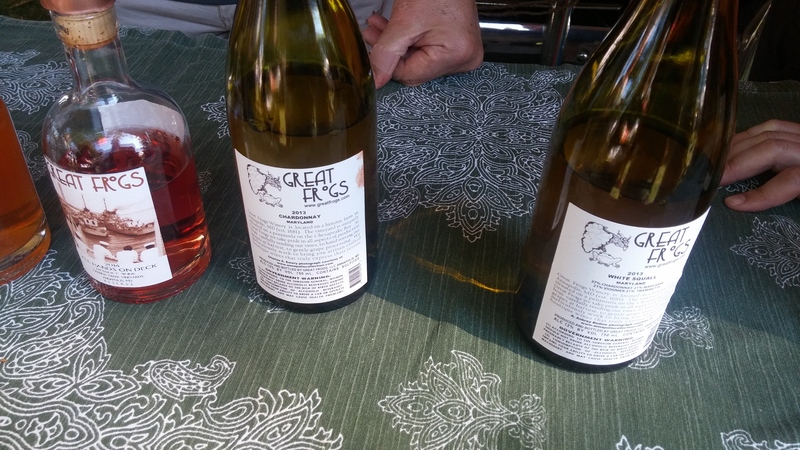 It’s a standard label that is sold in even the most simplest of wine shops. And this is no way discounting them. Of the few I’ve had, it’s a great value for under $10. And more times than not, it’s all we need for a simple dinner or to drink on its own. But what was suggested was a new one to me. 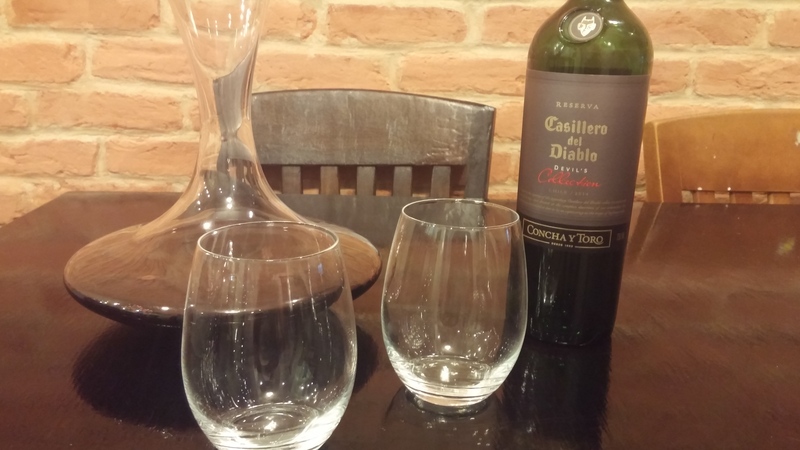 Right next to the collection of del Diablos, I was introduced to the Devil’s Collection Red, which is a trio of Cabernet Sauvignon, Carmenere, and Syrah. It’s like they read my mind. Before I even walked in these three grapes, along with Petit Sirah are what were on my mind. 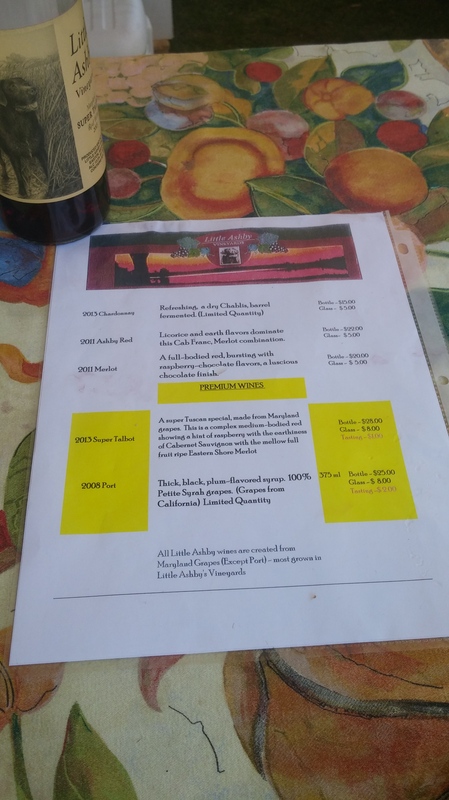 So to get a bottle, and a new one for that matter, that contains a few of what I was seeking, only triples the fun and enhances my wine buying experience, along with hopefully making this meal fun. So how did everything turn out? Well the meal was amazing and the wine was really good. My friend had a beautiful decanter to add to the atmosphere of our friendly feast. And the color on this wine really shines here. The synopsis mentions flavors of plum and black cherry. Through the power of suggestion, the latter did seem noticeable. A small hint of chocolate? I was hoping to taste it and as my palate expands will hope to catch it next time. This is a very good bottle at the price of $12.99. And with a mix of medium-to-full bodied wines mixed together, it tasted refreshingly lighter than what I was expecting. I’ll definitely give it a go again. I will leave with a couple of fun pictures from our meal. I want to give a huge thank you to the host. 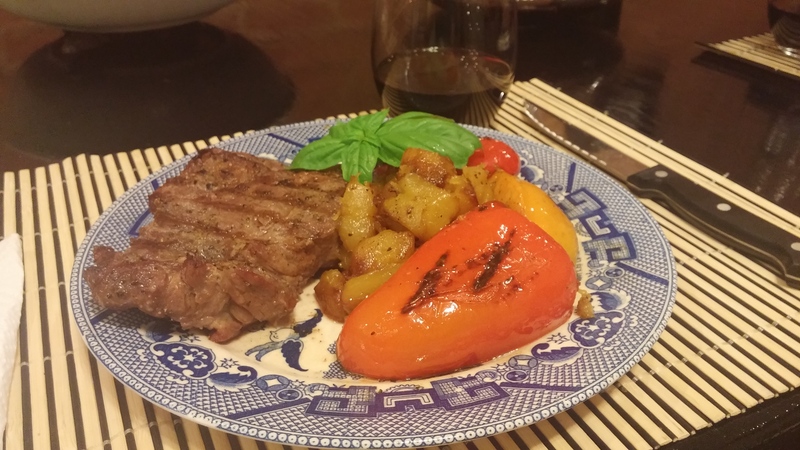 The steak, with acorn squash, and peppers was a hit. The vegetables, especially, tasted organic, natural, and most importantly healthy. Well maybe I just used three all-too-similar synonyms to over-emphasize how great this was!